Cleaning carpets isn’t just as easy as using any generic carpet shampoo or troubleshooting sprayer from under the kitchen sink. Being under the impression that all carpet cleaners are the same and we all use the same chemicals and machines is also far from it. firstly there are many different carpet fibres and many different colour dyes available all requiring different products, some require acidic rinses to leave them in the most stable condition so colours don’t bleed or fade. There are many different carpet backings some sensitive to water and some cannot be cleaned with normal water extraction methods. Experienced cleaners have invested heavily in products, equipment, training, fibre identification and insurance to be able to offer the best service possible and most importantly the best results and ultimately clean your carpets the right way. Many people believe hiring a machine and running it across your carpets is as simply as that, job done. The simple truth is its not Why…. 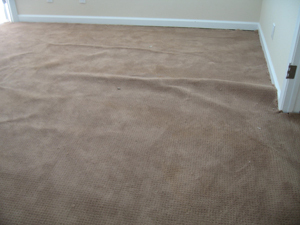 They leave your carpets soaking which seeps into the backing and underlay causing damage and odour to form. On the other hand there are companies offering cheap carpet cleaning for extremely low prices, which attract a lot of attention. Whilst price is an important factor in deciding, the most important factor is you what the job doing right. Some low cost cleaners can turn up with nothing more than a hire machine. You should ask some important questions…. What type of equipment do they use, is it similar to what you could hire? INCORRECTLY CLEANED CARPETS WILL END UP COSTING YOU MONEY. many problems can occur from inexperienced cleaning from carpet stretching or rippling. Odour problems due to excess moisture and carpets are not cleaned to a sufficient standard.